LETS GET READY TO CTF!!!!! The CTF ( Capture The Flag) Arena is about 3 foot ball field long and 2 football fields side by side wide . It Will take At-least 8 post of straight running to get to your opponents flag. The CTF arena is a desert-like rocky area. There are a three small oases. One for each flag,and one in the center of the arena. The arena itself is 11 kilometers long and .10 kilometers wide the center oasis. There are rocky formations,usually with many rocks in the same general area. When there aren't rocks,it leaves sand dunes,and the ground is covered in sand in every spot other than the oases. The oases are small,only about ten meters around each. They have many trees,and a small pound in the center. A single,small,stream of water flows from each oasis to the next. Following the stream will get you there fast,but it's also way too obvious. YOU WILL NOT FIGHT IN THIS FROM...BUT YOU WILL POST THE LINK TO THE FIGHT HERE THIS SITE IS FOR WHEN YOUR RPGING THAT YOUR RUNNING OR HIDING. WHEN YOU GET INTO A FIGHT MAKE A TOPIC HERE WITH THE PERSON YOUR FIGHTING WHEN THE FIGHT IS OVER YOU WILL LINK!!! THE TOPIC HERE ON THIS FORM AND CONTINUES RUNNING. WHEN YOU GET THE OTHER TEAMS FLAG YOU MUST!!! RUN IT BACK TO YOUR FLAG'S CHECK POINT AND YOUR FLAG MUST BE AT YOUR TEAMS CHECK POINT IN ORDER FOR YOU TO RECEIVE A GOAL. AFTER EVERY BODY POST IN THE POSTING ORDER FOR THE 1st TIME YOU CAN POST IN WHICH EVER!!!! ORDER YOU WANT BUT PLEASE KEEP IT ORGANIZED. THE 1ST TEAM TO GET 3 GOAL's WIN HAVE FUN!!! Francis walked up into the middle of the campers as his whistled for attention, they all looked up at him wondering what he wanted, Capture the Flag is about to begin. Now i am your referee, Francis Drake. Now I shall immoblize all who break the rules and act accordingly, Say if you kill a monster or a fellow camper you may be killed yourself or most likely you will be dragged back to your flag. Francis jumped down as he pulled out his reed pipes and began to play a tune on them sounding off the start of capture the flag. The teams ran to their flags as Francis stopped playing then took in a deep breath, he covered all the holes except the high pitched ones and blew hard after he knew they were all there. A painful ring ran through everyone's ears as the start of capture the flag had begun! Hem i guess its time to go then Daimien says as he rushes into the battle field he runs he ran and jumped over rock after rock he came to a big rock and hid behind there, Waiting for his chance to strike. 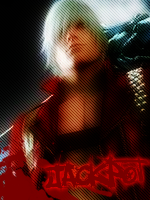 Slowly waking up on the branch of a tree, Dante was getting ready to go to the arena. He couldnt wait to participate in the tournament, especially since he knew Daimien was going to be there. When he arrived at the stage, he saw quite some people walking into the arena. A grin appeared on Dante's face while he watched all the participant's. "Guess there where others here after all". "This party's getting crazy" Dante said while walking in aswell. When he walked into the blue team's territory, he saw a boy standing near the flag. "Heh, good to know im not here first". He put his hands behind his head and walked up to the boy. "Hey there kid, the name's Dante" He said while laying down in the sand. "You ready to win this Kid". Jason entered the arena,stoked,and ready for CTF. This was for the Blue Team,for himself,for Poseidon,and for Amethyst. "I'm so ready to capture your flag!!!" He shouted to the already present members,his hoodie activated and formed armor,he drew and uncapped Riptide,and pulled his iTouch and turned it into shield mode. Read for battle. "Bring it!!!" Jason shouted,holding his sword in the air dramatically. Heemm this is a breeze Daimien says as he runs a few more feet then hides behind another big rock. Maybe its time to use my weapons, Daimien says as he takes his neck-less and a scythe appears he lays it down across him so that it wont be seen over top of the rocks. I will be using the one and only. Cross Crissis. Cross fell on the gorund. CRushing the soft sand of the arena. Also taking a quick glance at his surrounding. "This is gonna be just right........the perfect warm up." Cross said as he left his left hand shoved against the soft sand. In that second he push himself up doing a backflip a she fell in top of a big rock. "Now shall we start this? " Cross said as he remained in the big rock. At that point he unsheated his long sword out blitz. The sun shunned against the sharp edge of the sword giving a bright beam of light that reflected against the floor. Cross looked to multiple places in mere seconds looking at his team as well a shis enemies. Hayato was greeted by the other camper who's name was Dante. Well I'm hayato and yes I'm ready to win. Hayato pulled out a little twig out of his pocket. 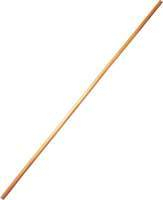 The twig quickly turned into Hayato's staff, Calisto. He then got into a fighting stance, ready to face anyone. The golden brown staff shined against the sun. Hayato could feel the lightning flow through it. Hayato then thought to himself Whenever they're ready, I'm ready. Hayato shifted the soft sand with his feet. After the tremendous napping, and eating of ambrosia and nectar to get ready for this, "capture the flag battle" he made his way to the arena, today he would face his brother, of course he wished to be on his newly found brothers team, though that was not the case in this instance. So Exas made his way to the red teams side, he noticed the dry climate and on his side he felt, before seeing the flow of water, in three sections of the field. This would be his advantage in this dry climate, other than that he couldn't use his wings due to lack of much air. So he than stepped onto the field and once he did, he stood in front of the flag ready to attack. When he stepped onto the field, he morphed all of his clothes into shining blue armor that went up to his neckline and to his shoulders, though not the helm. The armor flowed over his body and caused no resistance, that was why this armor was good for running and such. He than also reached behind the top of the armor and took his necklace, he held it out, and it formed into his symbol of power, his sextant, this object than morphed into a long sword, this sword had a foot long handle, and a bar at the top seperating the handle from the blade itself, this blade was 3 ft. long and shining blue just the same as his armor. He was ready for battle. Hades had a small flame erupt next to daimien as a pocket knife came sliding out of it, the fire spoke softly, My son, take this weapon, I want you to win this war. Now i shall monitor you, make sure you use your pup when you are in trouble only. The fire disappeared as the weapon remained. Yes father thank you Daimien said as he takes the weapon and ran forward about 15 meters then stopped and hid behind another big rock putting his knife in his pocket. Description/Picture: Hudor is a young mermaid,she looks very beautiful. She has long dark hair that goes beyond where her scales and skin meet. She has beautiful sea-green eyes. She has soft,lightly tanned skin. The armor she wears covers her upper human body,seeing as her lower half is always submerged in water. The armor is leather,dark blue,with the Poseidon Trident on the back. It covers her whole back,and comes over to guard her chest,revealing a small spot in the stomach. She went underwater,and quickly dawned her armor. She rose back up ready to fight. "For Lord Poseidon,and Master Jason." She said,winking at Jason jokingly. Still laying in the sand, Dante figured he might aswell rest near the flag and guard it from whoever would attack it. He opened his eyes for a moment and saw the mermaid arive, and quickly checked her out before she went down under again. "He, things keep getting stranger and stranger here". "Oh great." Akirina ran towards everyone else. She headed over to where her team was. She stopped as she identified the people wearing her color. Red. She didn't really know how this was sorted, but all she knew was that a flag was involved. And they had to take the opponents' flag before the opponents take theirs. She closed her eyes, taking in a deep breat. She tightened her grasp on the normal bow and hoped she had enough arrows to last her the day. Her fife was in her small bag just in case. She really didn't want to play and she didn't want to hurt anyone. She hoped nothing would go wrong. Slightly grinning at the guy raising his sword in the sky, he figured he was the team captain. "Take it easy with the sword kid". "I take it that you are our team captain, Jason right" Dante asked. Looking around him, he was wondering if this was his complete team. There was the white haired kid called Hayato, and the dramatic team captain who he presumed was called Jason. Standing up, he got Ivory from her holder and spinned her around his index finger before grabbing hold of it and shooting a round into the sky to get everyone's attention. "Is this our complete team, or are the other's just late" Dante asked his team. "Also, do we have a strategy or do you want me to make one". 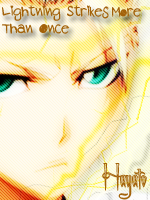 Being the son of Athena, it would be logical to let him make one, since making war strategy's was in his blood. Though he was also very lazy, he wouldnt mind it if Jason had his own. Amethyst finally decided to show up, sprinting across the arena and leaping agilely over rocks. She heard of this game and of course she snapped up the chance in the blink of an eye. Always being very competitive, she was up for the challenge. Today she was dressed in a dark blue cropped shirt that cut down her left side, a short blue skirt with matching shorts underneath and knee high black boots. As she drew nearer, she recognised Jason and Dante who were nearest to her. Then she started to hope she wasn't too late. "Hey, guys!" She yelled at the top of her lungs as she was running, her bow slamming into her shoulder blades and her quiver shaking around her hips with each long stride she took. "I'm not too late, am I? Please don't say I'm too late!" She said loudly as she skidded to a halt right beside her team. "Well, hi guys anyway! Guess you're stuck with me!~" She grinned slightly, before turning and facing the opposing team. She observed each one, trying to see if she recognised anyone. She could definitely recognise Daimien, who seemed to be the Red Team's Captain. 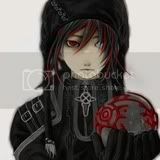 "Your not THAT late" Dante said mocking the girl that had just arrived. "Do you have a name kid" Dante asked the girl that had just appeared. He wondered why the other's didnt get here yet. "So, What should we do Cap'n" Dante said while slowly walking up a nearby dune. Looking out across the arena, he saw large dunes, high rocks and figured there whould be atleast one oasis hidden in it. Making his own strategy in his head, he waited for the other's to arrive while he layed himself down in the sand again. "Glad you could make it,Amethyst." Jason said,his voice wasn't soft or kind,it was hardened and filled with excitement,but he gave her a confident smile and a wink. He readied Riptide. "Amethyst,I mean,team!! We're probably going to be separated in combat,so be careful,and wary of your surroundings. If anyone is hurt,well,just don't get hurt!!" He shouted to his team. "Let's fight our hardest,and win!!" "The name's Amethyst Hart." Amethyst grinned and held one arm above her head, reaching down and clasping her bow in her right hand that was bandages up and healing. "And don't you ever forget it!" She laughed and spin her bow round before grabbing hold of it again in exactly the right place. "Jason, it seems you know nothing about me." She then said confidently as her eyes narrowed on her opponents, looking at what visible weapons they had. Not many, as far as she could see. She popped open her quiver's clasp and took hold of a Golden Arrow, the one that blew up into flame and caused her right hand to become burnt. "I'll be fine, as long as you promise me you'll stay safe too." She then said in a little bit of a softer tone, but not by much. "That's your plan Cap'n" Dante said smiling, "I love it". He rolled on his back and closed his eyes, enjoying the sun. Since noone was making their move, he wasnt going to be the first in doing so. He was wondering what things awaited them in the dunes, and what powers their opponent's wielded. "I love this stuff" Dante said while laughing loudly, not caring about the other's. picking out his guns, he shot some rocks in the distance to shreds. "And i see love is in the air" he said smiling and looking at the overconfident couple. They seem to fit together perfectly, dante thought while grinning a little. As Daimien got closer to the flag he saw how many people were guarding it and decided it was time for him to retreat and re group, he uses his shadow travel ability and zips to the middle of the forest. WHERE THE HELL IS MY TEAM he says as he looks around huh there so useless i knew i should have been on the blue team. He then puts his scythe back into a neck-less. There now what do i do he says hiding behind another big rock. Waiting for at-least 1 of the blue team members to move away from the flag and come where he was so that they could fight he had been waiting for 1 ever since he came to the camp. Hayato was tired of waiting. He stood up straight and had one end of his staff on the ground while the other was in the air. Jason, should we go in for the flag? Hayato asked Jason. 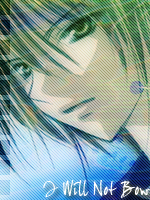 Hayato then scanned the forest area for anybody to come out of the dark, he was tired of waiting. He wanted to fight Enyalios, but Enyalios hadn't attacked him. So for once, he depended on his cousin, son of Poseidon, for an answer. Father Zeus, please give me a sign on what I should do. Hayato thought, trying to communicate with his father like he did the first time. Hayato then turned towards Dante and asked him What do you think we should do? Hayato was alittle confused as neither side made a move. When Dante closed his eyes, he heard Hayato speak to him. "What do you think we should do". "What do i think you say, well how about this one. How about you and i go out ahead, since our attacks pretty much help the other's". In his head, he allready made strategy's and battle plan's. His attacks up close being covered by Hayato's lightning based attack's. My bullet volley's charged by a bolt of lightning. That'd work. "I dont like taking over Jason, but i'm in this too win. You just go whenever you guys are ready, while hayato and i move on ahead". "Also, some people need to stay behind to guard our flag". He didnt feel right for taking over, but he had his own plans now. "Let's go Hayato" Dante said while walking up into the desert. Subject: Re: LETS GET READY TO CTF!!!! !